Sharp Australia is airing a series of television commercials to promote its 70-inch LED TV, and will soon reveal an upcoming 80-inch LED TV. The new Sharp AQUOS LC80LE940X will be the largest TV in Australia when it’s launched in August. 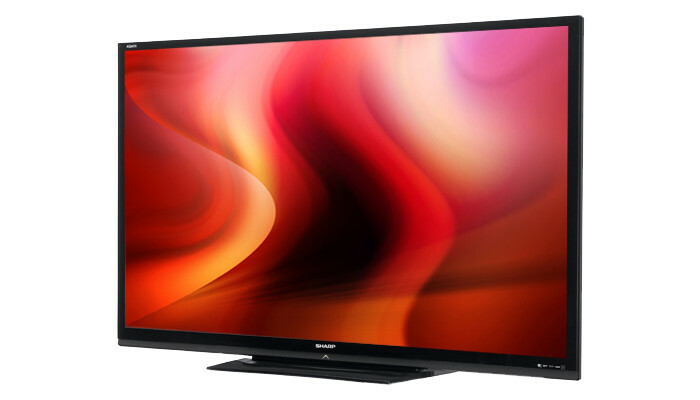 Sharp’s 80-inch AQUOS Quattron LED TV. Advertising starts this week, with commercials already showing off the company’s extra-large 70-inch AQUOS LE735X — promotion of the forthcoming 80-inch model, which will be “the biggest consumer television on the Australian market”, will start closer to its “late August” release window. The 80-inch screen size has more than double the viewing area of an already-large 55-inch panel. Other TV manufacturers like Panasonic, LG and Samsung make their largest TVs around the 65-inch size, and Panasonic has professional plasma displays at 85-inch and 103-inch sizes that do not include a TV tuner. Sharp has added a few words to the dictionary with the ‘Big is too Small a Word’ campaign, referring to its super-sized TVs as ‘spectacularge’, ‘viewmongous’ and ‘magnormous’. A representative of Sharp also told Good Gear Guide that the company would be releasing a 90-inch version of LE735X LED TV at “the end of the year”, taking the top-size crown from the 80-inch model.